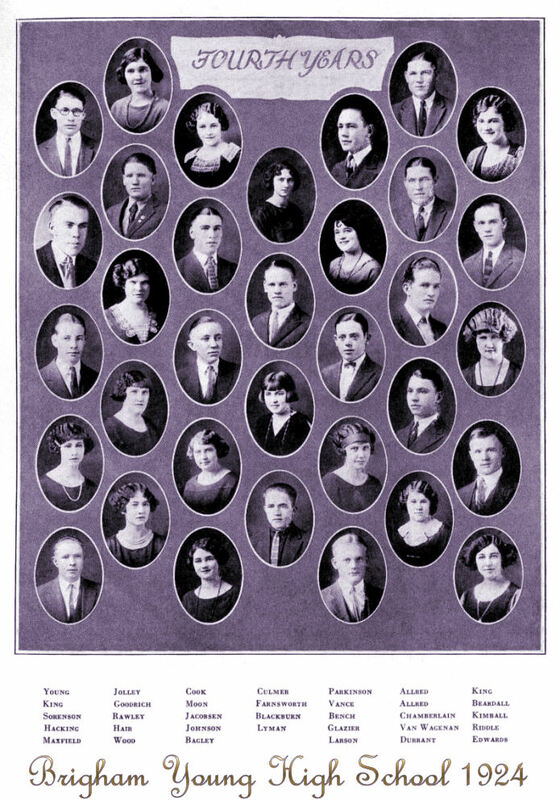 As you can see, most of the members of the BYH Class of 1924 were identified in this 1924 Banyan yearbook photo page only by their last names. Most were born circa 1906, plus or minus a few years. Using other sources, including research by Scott Cowley, we have been able to identify more students, but 26 still remain with surname only. Please help us to properly identify each student in this class by their full name, at least. After that, we welcome any additional biographical information you can provide. To date, we have not obtained a 1924 graduation program [one surely will be found in BYU Special Collections], but we suspect that many of the actual members of the class are not represented in this class photo, because they missed the photo day, or failed to turn in their photo by the deadline, or because they could not afford to have a photo taken in the first place. 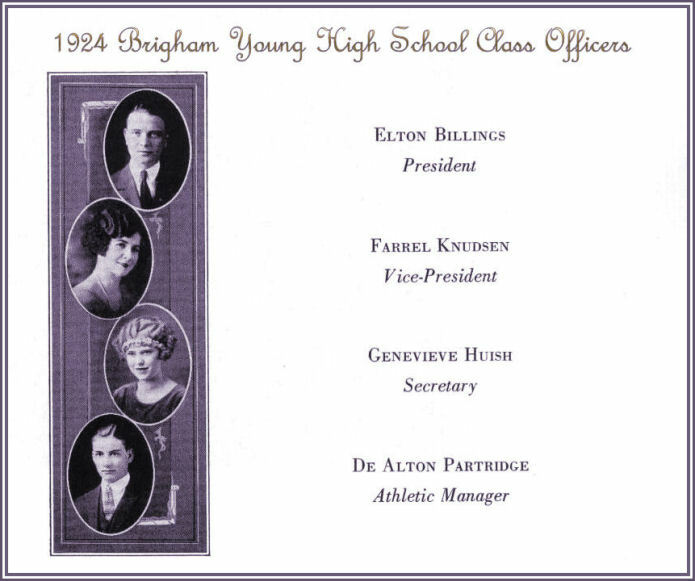 Some say the Class of 1924 is BYH's most distinguished class, when all is considered, simply because Philo T. Farnsworth was a member of this class. Everyone else just added luster. [Dickson, Mary Ona (Tuttle)] 1924? [Fietkau, Elzada Elizabeth (Evans)] 1924? [Keyte, Verda May (Hanson)] 1924? Please help us! Send information today.